Start your Sunday with a yoga hike of a different color! Jen Wyatt of Wander Free Wellness will lead you on a guided nature walk through Middlesex Fells Reservation, followed by a guided yoga class, nature meditation, and art in nature workshop. 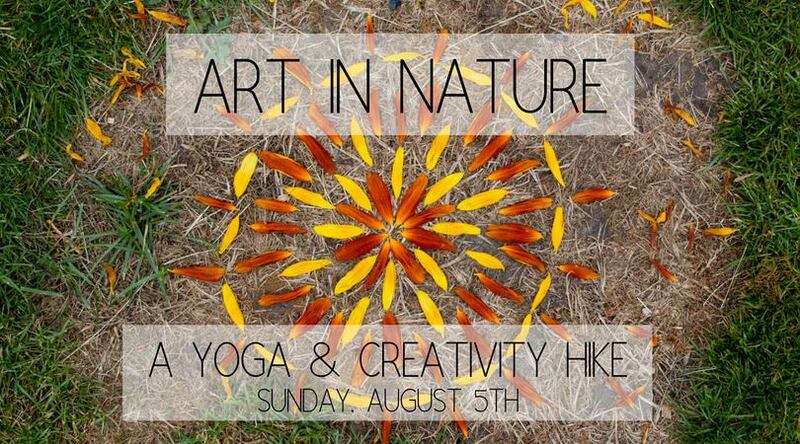 One hour guided nature walk/ mild hike followed by a one hour yoga flow and nature meditation. Our art theme for the day is mandalas and patterns in nature. We'll gather items found on our hike to create beautiful spirals, mandalas, and other types of ephemeral art. What is ephemeral art? Fleeting. We'll create artwork on the ground with our found objects and pieces of nature, and then we'll leave it behind. It's soothing, meditative, and a practice in letting go and the impermanence of all things. Due to the varying nature of the weather in New England our yoga practice could range from a mat practice, to a boots on practice.